Another sharp contraction in Italian industrial production put the Euro (EUR) under pressure, exacerbating market worries over the health of the slowing economy. As production slumped -5.5% on the year in December this fuelled bets that the Italian economy is likely to remain on the back foot for longer, struggling to return to a state of positive growth. After the European Commission cut its growth forecasts for both Italy and Germany on Thursday support for EUR exchange rates has proved limited. 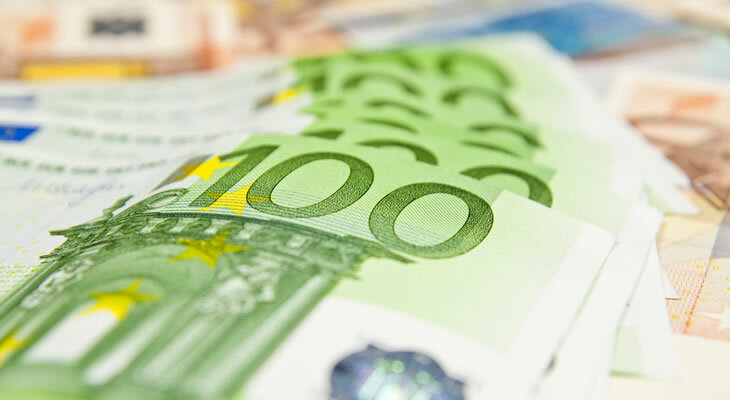 However, the downside bias of the Euro to Pound Sterling (EUR/GBP) exchange rate was limited in the wake of better-than-expected German trade data. A solid 1.5% increase in export volumes bolstered confidence in the outlook of the Eurozone’s powerhouse economy, raising hopes that it could avoid falling into recession. The mood towards Pound Sterling (GBP), meanwhile, remained muted as market speculation over Brexit continued. As the latest talks between Theresa May and EU leaders failed to yield any significant progress, with the Irish border issue still unresolved, this limited the appeal of the Pound. GBP exchange rates could come under additional pressure on Monday with the release of the latest UK gross domestic product data. Another weak month of growth in December would lend weight to fears that the UK economy is continuing to lose momentum as Brexit uncertainty persists. With uncertainty clouding the economic outlook for 2019 any signs of weakness could weigh heavily on the Pound. Wednesday’s UK consumer price index data may also offer a boost to the EUR/GBP exchange rate if inflationary pressure eases further. Eurozone industrial production data could see the Euro losing further ground against its rivals next week, however. Thanks to the slowdown in Italian and French production the overall Eurozone reading looks set to see another month of contraction. A sharp decline would encourage bets that the Eurozone economy will continue to lose momentum in 2019, to the detriment of the single currency. As long as underwhelming data continues to fuel the case for the European Central Bank (ECB) to leave interest rates on hold the upside potential of EUR exchange rates looks limited. Investors could also pile out of the Euro if the fourth quarter German gross domestic product fails to show a rebound on the quarter. Another quarter of lacklustre growth would leave the EUR/GBP exchange rate exposed to fresh selling pressure, especially if Germany falls into a state of recession. Previous ArticlePound to New Zealand Dollar Exchange Rate Outlook Higher on RBNZ Rate Cut Bets?